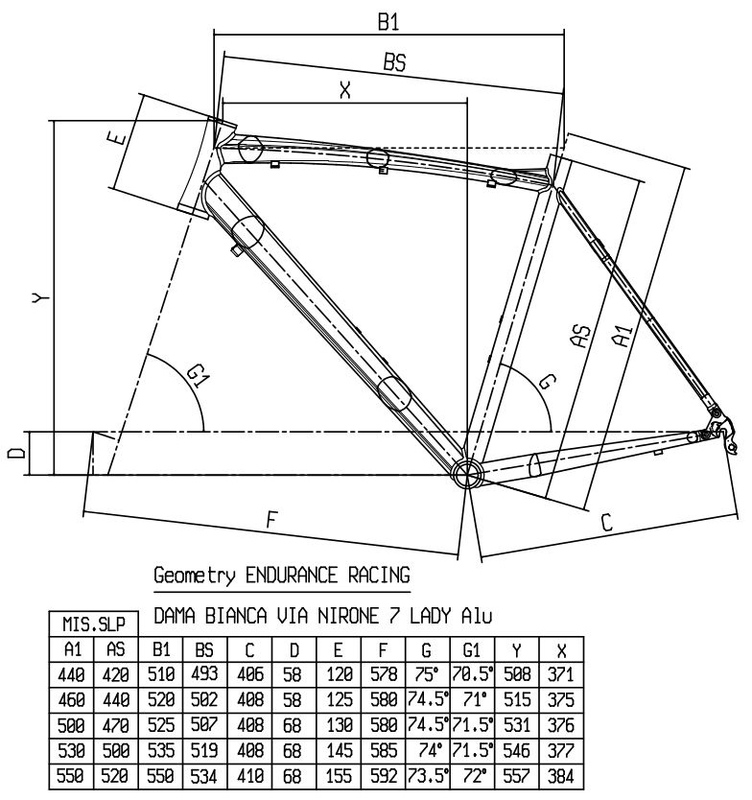 The Bianchi Via Nirone 7 Dama Bianca women’s road bike, named after the address of Edoardo Bianchi’s first workshop is a lightweight, responsive road bike made from triple-butted 6061-Series Aluminium with hydroformed tubing to give a high-performance ride as well as elegant Italian styling. The Nirone 7 has been designed to be comfortable on long-distance road rides while remaining spritely and responsive when you need it to be. 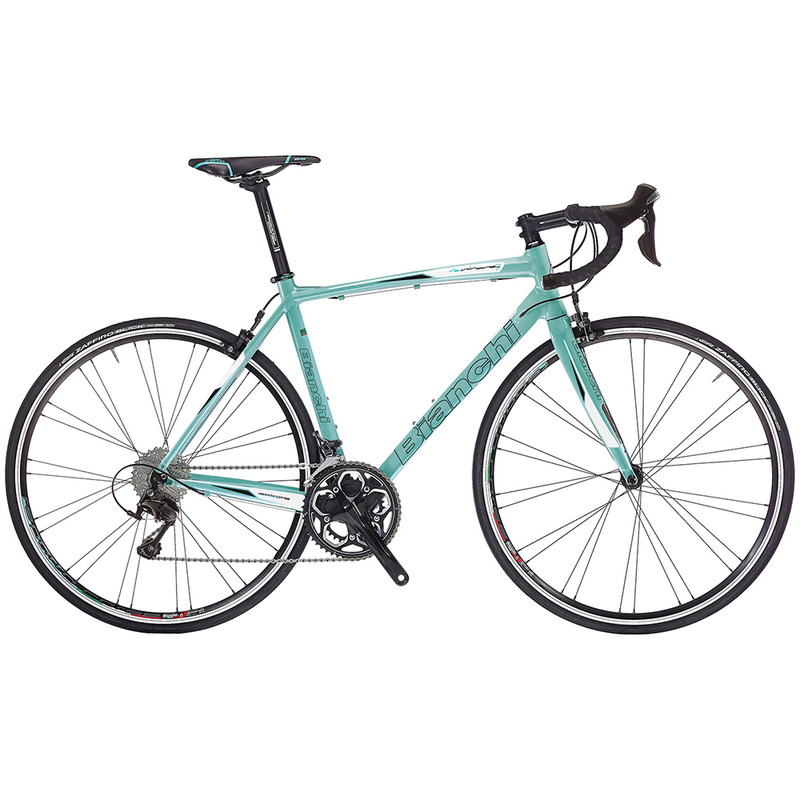 The alloy frame is coupled with Bianchi’s carbon-legged fork which includes Kevlar inserts interwoven into the fork which help dampen vibrations from the road surface making your ride even more comfortable. With a capable Shimano 105 mix groupset you can rely on precise and predictable gear shifts every time making the Bianchi Nirone 7 Dama Bianca a joy to ride.